You can't miss our gorgeous full page add inside the back cover. 3. Does not apply to sale or already discounted items, excludes packages and gift vouchers. Mothers Day is so special for expecting mums so celebrate your pregnancy in style with QueenBee.com.au. 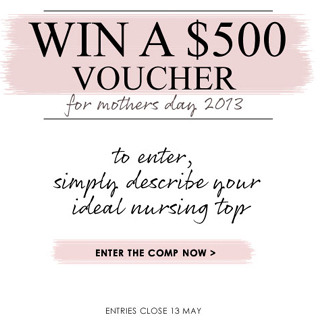 Here's your chance to win a $500 voucher to spend on stylish maternity clothes to make you feel special during this amazing time of your life.